188 pages | 28 B/W Illus. The concept of ecosystem services has emerged in recent years as one of the most powerful guiding principles for ecology, biodiversity conservation and the management of natural resources. It provides the basis of assessing the multiple values and services that ecosystems can provide to humankind, including such diverse issues as carbon sequestration, flood control, crop pollination and aesthetic and cultural services. 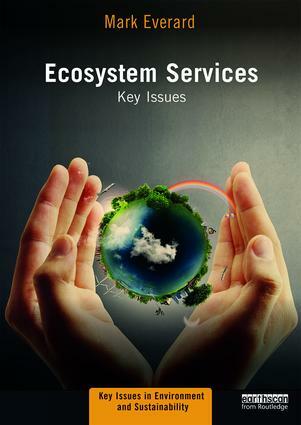 This introductory textbook sets out the key aspects of ecosystem services. The book details the historical roots of ecosystem services in the second half of the twentieth century and through initiatives such as the Millennium Ecosystem Assessment. It shows how ecosystem goods and services can be categorised and valued in economic as well as non-monetary terms, while also highlighting some of the difficulties and limitations of valuation techniques. The author describes how themes such as systems thinking, social-ecological resilience and natural capital relate to ecosystem services, and how these can contribute to more sustainable and equitable development. The book assumes limited prior knowledge and is aimed at a wide interdisciplinary audience of students across the social, environmental and life sciences. It is illustrated by a wide range of international case studies and includes learning objectives and guidance for further reading. Mark Everard is Associate Professor of Ecosystem Services at the University of the West of England (UWE Bristol), UK, and Director of Pundamilia Ltd. He has extensive practical experience in the development and implementation of the Ecosystem Approach and in Government advisory roles, including the UK National Ecosystem Assessment and Defra Natural Value Programme. He is the author of numerous books, particularly on the management of freshwater and other natural resources, and has worked on international development projects in South and East Africa, Sri Lanka, China, India and Nepal.